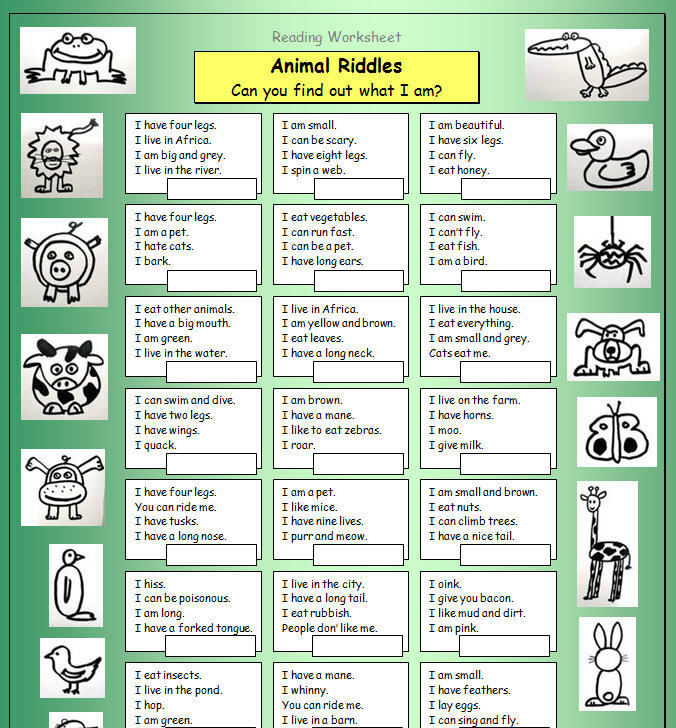 Elementary worksheet consisting of 21 riddles. Students or teams of students read the riddles to each other and the other team has to guess. 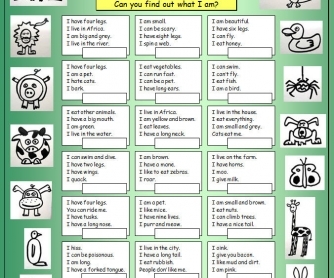 Focuses on reading aloud, pronunciation, listening, listening comprehension and team work.